Rest Home Villa SiriusIn Via Marina 6 in town Ortoliuzzo a Messina, from 1997 is Residence for the Elderly Self-sufficient and not. Thanks to the beautiful location, the Qualified Personnel in the social - welfare and services dedicated to Senior citizens, it's a Retirement home Messina between more professional and appreciated. Rest Home Villa Sirius is situated 10 just minutes by highway from Messina. Rest Home Villa Sirius a Messina accepts Temporary stays. Rest Home Villa SiriusIn town Ortoliuzzo a Messina, Is engaged in social welfare from 18 years, has an experience of high professionalism in the delivery of services to Senior citizens and is a specialist in social welfare 'Elderly Care Self-sufficient and not, Needing proper assistance to their state of health. Thanks to Experience gained in the area, Residence for the Elderly Villa Sirius has a high professionalism and personalized with a family that tends to satisfy the needs of accompanying him in small and large tasks every day. Rest Home Villa Sirius promotes and encourages the maintenance of family life involving guests and their loved ones. Villa Sirius is designed to be a shared house, always open, no rigid time constraints, but those to guarantee the privacy and rest. Rest Home Villa Sirius it's a Residence for the Elderly Self-sufficient and not surrounded by beautiful Garden Furnished 2000 sqm with flower beds and comfortable benches to enjoy the outdoors and healthy walks, as well as a vegetable garden that produces organic vegetables for the benefit of Elderly Guests. Rest Home Villa Sirius, Moreover, thanks to its proximity to the toll booths Villafranca is easily accessible in just 10 minutes by motorway from Messina. Outside the Residence for the Elderly Villa Sirius, in Messina, is equipped with a Patio-Porch surrounding the entire building and overlooked the RoomsOr a lot of light and great views of the Garden in which is immersed the Rest Home Villa Sirius. To date Rest Home Villa Sirius, in Messina, has become a big family where there are many moments of encounters and relationships with family and friends. Moreover, being a 10 just minutes by highway from Messina, Rest Home Villa Sirius is easily accessible from the family and is an excellent alternative to the residence in the city, especially for the Green, the contact with nature and tranquility of the area. 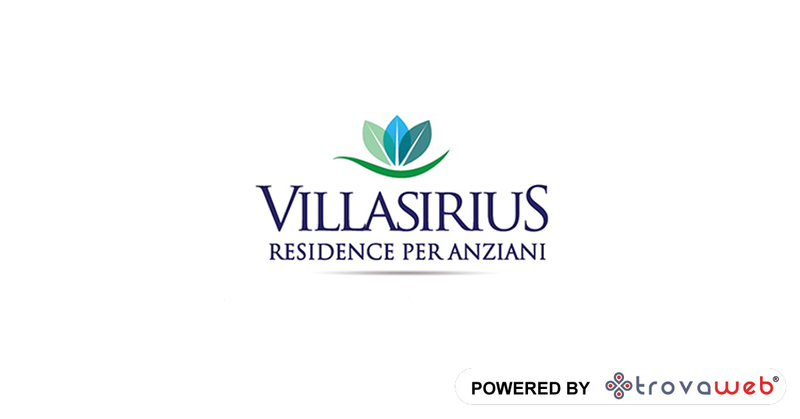 Rest Home Villa SiriusIn town Ortoliuzzo a MessinaEnsures continuous service, entertainment and presence of Doctor, Social Worker and Registered Nurse. Rest Home Villa Sirius, in Messina, is a social - welfare specializing in 'Elderly Care Self-sufficient and notWhich is distinguished by the quality of the services offered, first of all the 'Support Continue 24h on 24h with qualified personnel. The Residence for the Elderly Villa Sirius, in Messina, in fact, relies on professionals socio - welfare specialized in 'Continued Support and in 'Animation. Furthermore, Rest Home Villa Sirius, in Messina, Guarantees'Spiritual Assistance e Religious a Roman Catholic, thanks to agreements made with the Parish of the place. L 'Nursing e Rehabilitation shall be performed by professionals in the Convention and Qualified Physiotherapists. Rest Home Villa Sirius, to meet any type of requirement provides two types of hospitality: l 'Welcome to Long Term e Temporary stays for Treatments Rehabilitation. Rest Home Villa SiriusIn Via Marina 6 in town Ortoliuzzo a Messina, is socio - specializes in care 'Elderly Care Self-sufficient and not with a highly professional service in a secure environment. Rest Home Villa Sirius, in Messina, is distinguished by the quality of the services offered, first of all the 'Support Continue 24h on 24h with qualified personnel. Il Residence for the Elderly Villa Sirius, In Messina, ensures, in addition to 'Nursing e Rehabilitation performed by professionals in the Convention and Qualified Physiotherapists, l'Spiritual Assistance e Religious a Roman Catholic, thanks to agreements made with the Parish of the place. In addition, the proximity to the toll Villafranca make Villa Sirius easily accessible even 10 minutes by highway from Messina. Rest Home Villa Sirius, in MessinaAccepts Temporary stays. If you are looking for a Residence for the Elderly Self-sufficient and not surrounded by greenery and with so many quality services, trust Rest Home Villa Sirius in Messina.